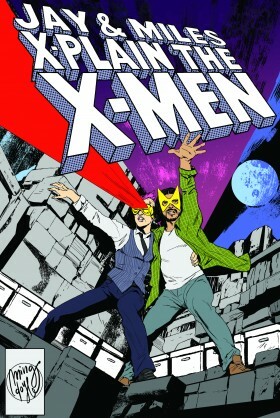 In which Jay sits down with cartoonist Ed Piskor to talk about the upcoming X-Men: Grand Design! NEXT EPISODE: X-Men: Gal Pals! The visual companion to this episode can be found in X-Men: Grand Design #1, available from your local comics shop this December! NEXT EPISODE: The Muir Island Saga, and the secret origins of this nonsense! In which 1991 runs right into 2010, X-Factor: Endgame (and everything after it) never happened, Jay covets the hell out of Cyclops’s X-Factor: Forever jacket, Apocalypse’s alternative universe motives are actually pretty fascinating, and Miles will never call his junk Traitorous Unit.